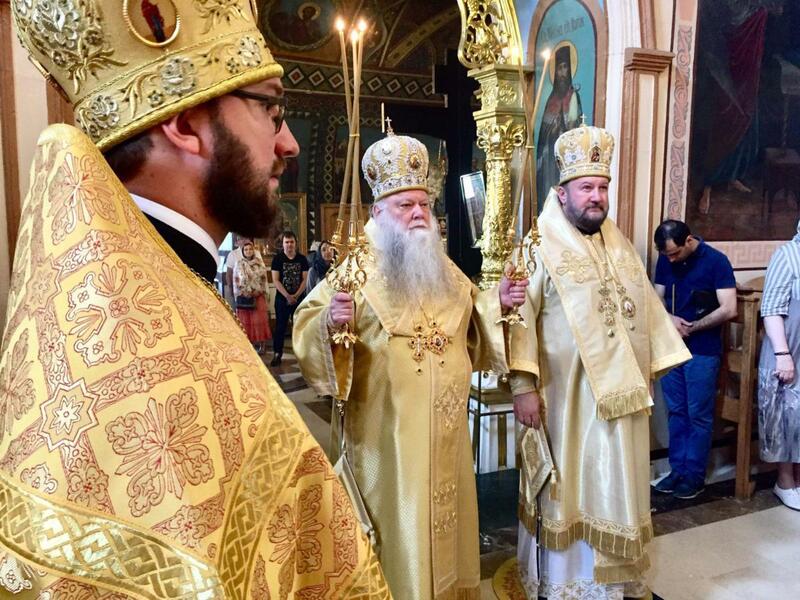 On the 7th Sunday after Pentecost His Eminence Archbishop Peter served Divine Liturgy at the Serbian Podvorie in Moscow. More information on His Eminence's service for the feast can be found at the link below. Translation of the information at this link is provided below. Divine Liturgy on the 7th Sunday after Pentecost - The Placing of the Honorable Robe of the Most Holy Mother of God, in the temple of the Holy Apostles Peter & Paul at the Yauza Gates, was served by Archbishop Peter of Chicago & Mid-America and Bishop Antony of Moravichsky, along with the clergy of the Peter and Paul temple. Those who served with the Most Rev. Hierarchs were: Archimandrite Alexander (Kotov), Archpriest Dmitri Kalashnikov, Priest Oleg Vyshinsky, and Deacon Vladislav Sokolov. The [parish] choir sang under the direction of the choir director Ludmilla Cherkovskaya. 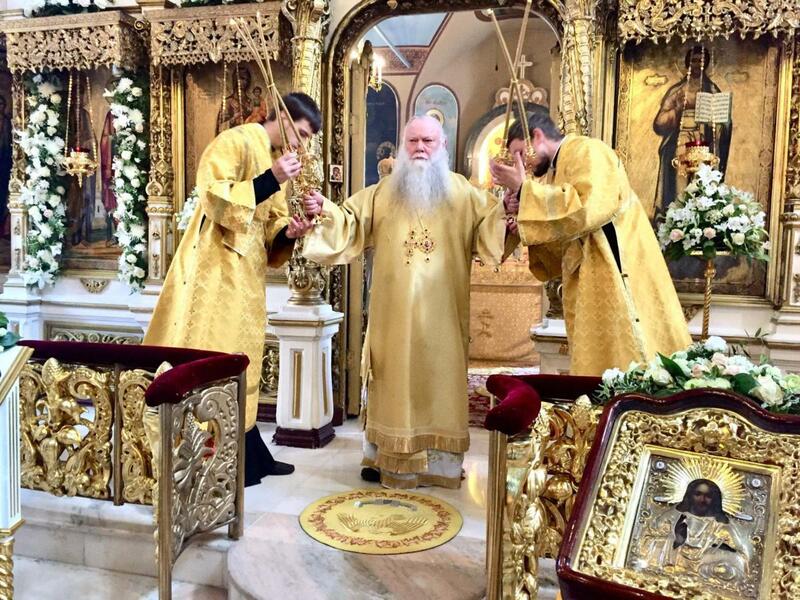 Following the conclusion of the Divine Liturgy Bishop Antony congratulated the faithful with the feast and addressed those gathered with an archpastoral sermon.